Do you need some fun, kid-friendly activities for Spring Break? 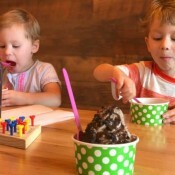 We have the best list of things to do for your family! Enjoy the new flavors just in time for spring at Abby's Ice Cream and Frozen Yogurt including Georgia Peach, Rainbow Brite Twist, Valencia Orange, Pink Lemonade and more! Try the April flavor of the month, Scout’s Honor--a mint ice cream with Oreo cookie balls & chocolate chips at MooBears Ice Cream & Treatery! 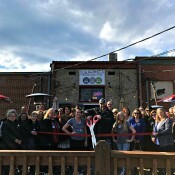 On Thursday, March 8, 2018 the Gilmer Chamber held a ribbon cutting for Boardwalk Pizza & Pub. New owner Adam McVey gave up his career of 17 years to follow his dreams of owning a business in his hometown. Adam purchased Boardwalk Pizza & Pub and has made some great changes to this restaurant. 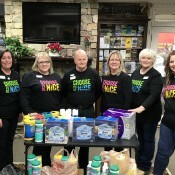 Random Acts of Kindness Week was officially celebrated February 12-17, 2018. During that week the Gilmer Chamber wanted to say thank you to some very hard working, often unseen folks. The Ellijay city workers can often be seen around town in their bright yellow shirts doing whatever needs to be done to keep the city beautiful and safe. 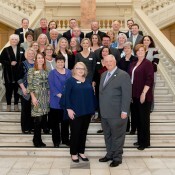 February 15, 2018, was declared Apple Day at the Capitol by Speaker of the House David Ralston and the Georgia House of Representatives as well as Senator Steve Gooch and the Georgia State Senate. It was wonderful day during which members of the general assembly enjoyed special sweet treats from R & A Orchards. 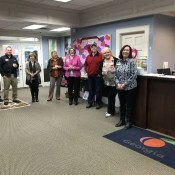 On Tuesday, February 20, 2018 a ribbon cutting was held for the Speech & Language Lounge, Inc. Owner, Linda Everett is dedicated to providing speech language therapy services to people of all ages and a wide variety of diagnoses. 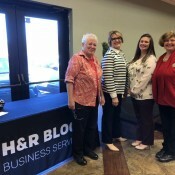 The February Network Luncheon was held on February 8, 2018 and sponsored by H & R Block, "The Nation's leader in Tax Preparation" since 1955. Franchisee, Beth Bennett, spoke about some of the changes to the tax law and gave the highlights of the new Tax reform. On Tuesday, January 30, 2018, the Chamber hosted Coffee and Conversations. This quarterly event was created to welcome new members to the Chamber in a casual atmosphere. Several of our new members attended and were able to meet our Staff, Ambassadors and Board of Directors. Over 30 people enjoyed coffee and biscuits provided by The Chili Dog. 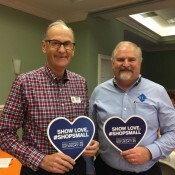 Pictured Chamber Board Member Mr. Hubert Parker with Lee Jennings, Managing Partner with RL Jennings & Associates, PC showing their support for Small Businesses. On November 9, 2017, the Gilmer Chamber held their November Network Luncheon sponsored by RL Jennings & Associates, PC . 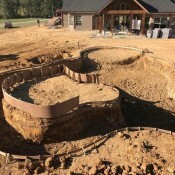 They are a full service accounting firm with offices in Ellijay and Rome, GA.
We are excited to announce that our local Premier Pools & Spas is building an amazing pool in Calhoun, Georgia that will be featured on the 1st episode of the new season of Pool Kings on DIY Network which will start May 2018. On Saturday July 15, 2017, the Board of Directors of Coosawattee River Resort Association, Inc. (“CRRA”) voted to accept the recommendation of the Search Committee to extend an offer of employment to Rick Tanner for the position of General Manager. Solar Eclipse in Ellijay - Why 99% is still awesome! 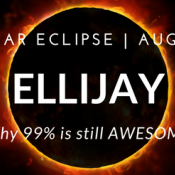 Ellijay, Georgia is only going to view a 99% Full Solar Eclipse, but that is still AWESOME! There are some perks... less crowds, available lodging, viewing parties at the vineyards, Carter's Lake and other great places. If you haven't made plans for August 21, check out what Ellijay is doing for the Solar Eclipse. 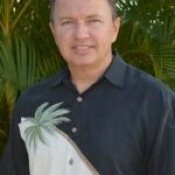 John Rowan with Clean Slate Services sat down with us and discussed his commercial cleaning services. 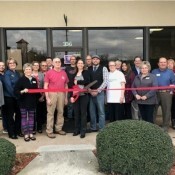 Watch the video below to find out about this business and why Clean Slate Services is a Proud Member of the Gilmer County Chamber. 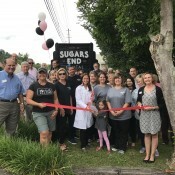 On June 1, 2017, a ribbon cutting was held for Sugars End Dental, a boutique-style dental office. Dr. Kalee Coakley purchased Ellijay Oral Health Care from Dr. D’Wayne Fowler in the fall of 2016. On Saturday, May 20, 2017, Calvin and Judy Wilson cut the ribbon on their new location for Hometown Florist and Yesterday’s Décor. They are now located at 56 River Street in Downtown Ellijay. 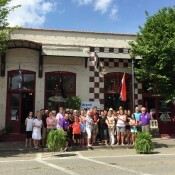 Located in the old Penland’s Mecantile building, built in 1913, it stands as the oldest building in Downtown Ellijay.